This short edited time lapse of cascading northern lights over the S/V Ithaca in Churchill is a unique view in to the northern frontier world. It’s cool to imagine what some of the early explorers experienced on those cold, dark nights in the Hudson Bay. The sights and sounds of the aurora borealis in any remote Arctic region give thrills and chills to even the most seasoned traveler! Churchill’s Arctic summer is quickly approaching and it will be interesting to see if northern lights prevail at the start and then toward the end of summer. National Geographic wildlife photographer Nansen Weber has been going to Cunningham Inlet by Canada’s Somerset Island in the high Arctic with his cameras for 16 years. Every summer thousands of beluga whales join him for an amazing spectacle in the shallow inlet. For about a month, the beluga whales gather for what is a very social time as well as molting period and nursery time for newborns. The Cunningham River is a northerly version of the Churchill and surrounding estuaries in the southern Hudson Bay in that its’ temperatures average eight degrees F warmer than the surrounding ocean waters. The warmer water is a welcome respite for the whales and facilitates the behavior mentioned. Weber and the whales seem to coexist in the inlet with the belugas approaching him closely as if they remember him from the year before. The drone footage of the whales, polar bears, and the incredible rugged landscape lends perspective to the massive wild region that is largely unspoiled. That notion could be changing however with climate change and federal policy allowing research and transport throughout the Arctic. Shipping channels around the Northwest Passage are becoming more accessible with ice reduction due to warming temperatures. This will allow large ships in the region and they, with all the noise they produce, will undoubtedly have an affect on the animals echolocation faculties. “This might be the only place on Earth you can enjoy the beluga whales like this that is still wild like it’s been for the last 500 years, but maybe it’s going to be changing. Just in my lifetime of being in the Arctic for 20 years, I’ve seen climate change. There’s new birds that are migrating up north that I haven’t seen before, there’s mosquitoes now where there shouldn’t be mosquitoes, the ice patterns and weather patterns are all weird. It’s kind of a dilemma that’s always there in the back of your head while you’re enjoying the beluga whale spectacle in front of you,” Weber says. All of the Arctic region and all of its inhabitants will be affected with changing climate. “It’s not only about the beluga whales. I mean, we have polar bears, there’s narwhals and bowheads along the Northwest Passage, arctic char that run in the rivers. Inland you have the musk ox, the caribou that graze, all the migratory birds that fly up every summer to enjoy the short arctic summer, the snowy owls, the falcons. It’s just a huge ecosystem that’s all tied together,” states Weber. It’s hard to believe that Canada’s newest territory is almost 16 years old. 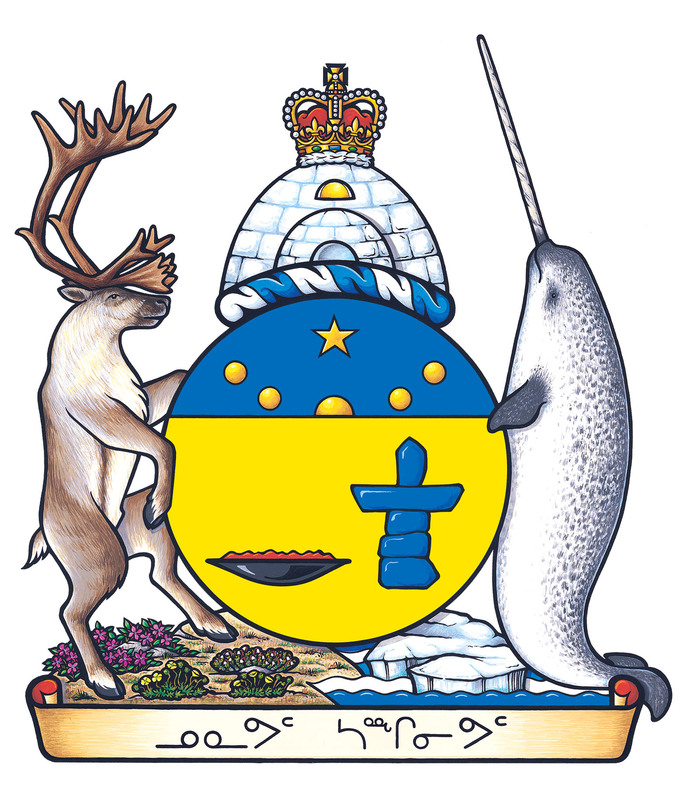 April 1, 1999 was the official date Nunavut separated from the Northwest Territories. Comprising a major portion of Northern Canada as well as most of the islands in the Arctic region, Nunavut is the fifth – largest country sub division in the world. Nunavut borders with Manitoba and the waters of the Hudson Bay are included in its borders. The capital is Iqaluit, formerly Frobisher Bay on Baffin Island. Other major communities include the regional centers of Rankin Inlet and Cambridge Bay. In the far north, Nunavut also includes Ellesmere Island as well as the eastern and southern portions of Victoria Island in the west as well as Akimiski Island in James Bay in the far south. It is the only region of Canada that is not connected to the rest of North America by highway. The youngest territory is the least populous though largest in overall area of all the provinces and territories of Canada. With a mostly Inuit population of nearly 32,000, Nunavut is a sparsely settled region about the size of Western Europe. Alert, the northernmost inhabited place in the world, is also a part of Nunavut. The territory of Nunavut. Vabmanagement.com. image. The territory includes all of the islands in Hudson Bay, James Bay and Ungava Bay. If Nunavut were a country, it would rank 15th in area. The population density is 0.015 persons per square kilometer, one of the lowest in the world. Greenland has approximately the same area and nearly twice the population. Nunavut’s highest point is Barbeau Peak (2,616 m (8,583 ft)) on Ellesmere Island. Since the 1976 initial proposal by the 82 % Inuit population of Nunavut, the long journey to the current territorial status was delayed by disputes over land claims. So, after 23 years, the territory was born. It seems slightly odd that a native territory took that long to emerge as such. The name “Nunavut” is derived from the Inuit word for “our land”.